The Hardwick Gazette is still up for grabs. 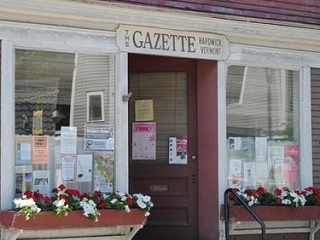 As we noted a few weeks ago, the essay contest designed to find a new owner for Vermont weekly newspaper The Hardwick Gazette has sputtered. Publisher-editor Ross Connelly was forced to extend the contest deadline to Sept. 20, with not exactly the surest feeling that this will solve the problem. What’s most interesting about Katharine Q. Seelye’s catch-up piece in The New York Times is her portrait of Connelly as an old-time business model proponent. Albeit from the vantage point of a very small town, where nurturing a print ad base remains more feasible than in many other markets. In his view, the hard copy of the paper fosters civic engagement in a way that a smartphone does not. Interesting. When’s the last time you turned to someone on the subway or in a restaurant, and pointed to something in this fashion on your smartphone? Read the rest of the NYT piece here. A second extension of the essay contest to Oct. 10 and accompanying crowdfunding campaign designed to bridge that element’s predicted shortfall have fallen short. The Kickstarter solicitation of $100,000 generated $23,599. The Kickstarter campaign did not generate the money it set as a goal. The final contest entries are still arriving but it is unlikely a new owner will be chosen from the entries as 700 were needed. As such, the entry fees will be returned. Perhaps, some of the essayists will step forward to explore buying the newspaper. The motivation remains to find a new owner because The Hardwick Gazette is a foundation block of democracy. 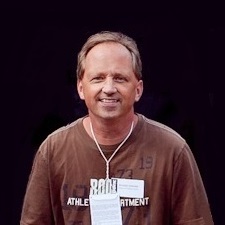 A Stamford, Ct. couple who entered the contest–Ray and Kim Small–have wound up buying the newspaper under the terms of more conventional purchase transaction. So it all worked out in the end.